The tactical fighter has a mission which will put them in testing, unfamiliar and hostile environments. Getting in, getting the job done, and getting out again can be partially calculated by the strength of a plan along with it's supporting equipment. Past this, it lies in the hands of a soldiers ability and lastly, fate. 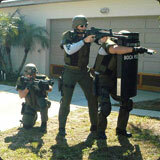 Buy military gear cheap and police gear at civilian prices! 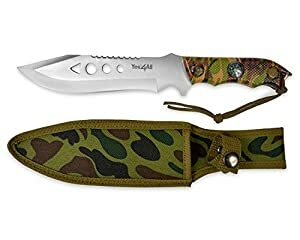 Our aim is to provide the best possible combat gear for the soldier, hunter or special ops warrior and also the most useful survival knives for the survivalist. Read our interview about the specialist SAS skills of the UK's Bear Grylls with his TV series. 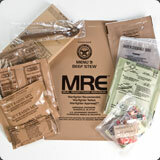 When considering a tactical pack for a combat mission or hunting expedition equal attention should be paid to the simplist items such as first aid kit (IFAK) to the more work orientated devices and tools such as laser rangefinder binoculars, the military tactical knife or a survival knife, you can also buy body armour online through our store. Shop online and save on all your infantry fighting combat gear for sale available direct to the public stocking some of the best brands like Condor Tactical Gear and the ever popular 5.11 Tactical Gear. 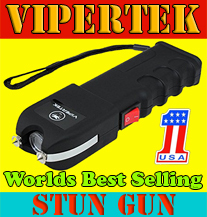 We also carry a wide range of gun optics, Vipertek stun guns, military gas masks and long range rifle scopes for every tactical need. 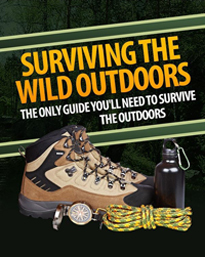 War, hunting and survivalism have very close ties throughout history. Each can show innovation that has crossed over to another to provide a better way in which to complete an operation or better tools for which to do it with. 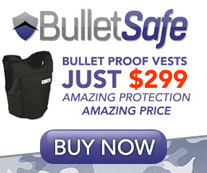 Level IIIA Bullet Proof Vests and Ballistic Plates at Unbeatable Prices! 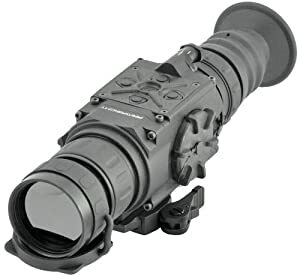 Today, affordable military quality tactical optics equipment such as night vision goggles is readily available at reasonable prices and most of the areas now share reasonably equal footing on what is available for a particular purpose (weapons excluded for obvious reasons - though de-tuned equivalents are often avaialble). With this in mind there is no reson to put yourself in a situation unprepared, your life depends on it! WHATS THE ULTIMATE RIFLE CALIBRE? Modern .338 rounds include the .338 Win Mag, the .338 Norma Magnum and the now world-renown .338 Lapua, widely regarded as one of the best of, if not the best, of the long range tactical rounds. These .338 loads however are way too grunty for average size hunting game, producing what most US hunters would consider excessive muzzle blast and recoil. ...the .338 calibre does offer superior long range ballistics among calibres that are considered suitable for rifles. The United States military, having known how good the .338 cal is ever since the 1950s, has finally decided to adopt it for the battlefield. 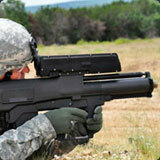 General Dynamics Corp is developing a .338 light machine gun to fill the gap between the current .30 cal and .50 cal guns. The LWMMG (lightweight Medium Machine Gun) is chambered in .338 Norma and designed to engage targets, light vehicles and personnel, at ranges out to 1700 metres. How good is the .338 cartridge? The Norma round has a maximum range of over five and a half kilometres (no other round rifle round can shoot as far), and at 1000 metres it has almost twice the power of the .308 Nato. As the world turns or disintegrates, depending on whether you have an eco-friendly, holistic global warming approach to life on this planet, or — heaven forbid — view life from a rational, empirical, evidence-based perspective, the words we use to describe the various disciplines of our profession mutate as well. And the seeds of confusion are thus sewn. Are these men and women thoughtful professionals, surrendering a significant chunk of their lives, not to mention exposure to enormous personal risk as they volunteer to assist our government to stabilize broken institutions overseas? Or, "person(s) who takes part in an armed conflict who is not a national of a Party to the conflict and is motivated to take part in the hostilities essentially by the desire for private gain and, in fact, is promised, by or on behalf of a Party to the con diet, material compensation substantially in excess of that promised or paid to combatants of similar ranks and functions in the armed forces of that Party" (the definition of mercenary according to Wikipedia!)? The recent travails of Black water and the attendant media frenzy further blur the distinction between what is and is not a mercenary. Or is there a distinction? What's the difference between the operations of a private security team helping to train a police force in Afghanistan and a private security team in Baghdad assigned to protect US diplomats? Both are, usually, armed. Both are populated by former military types, and/or current or former law enforcement officers. Both are in country as a direct result of a critical inability on the part of local government to protect its own borders, institutions, and people. Those who employ the modern "mere" shy away from the term mercenary: The post 9-11 world has seen a remarkable expansion of specialized forms of private security contractor, the so-called private military company, or PMC. Blaekwater, Dyneorp, ArmorGroup, Control Risks have expanded the role of private-sector protective security to fill gaps left in Iraq, Bosnia, Afghanistan and elsewhere. This has led to some interesting and controversial exploits having implications for the security profession. It has also led to less controversial — as judged by the media and many American politicians, who need little reason to fault US government, US corporations, and certainly anyone who bears arms for a living — but spectacularly horrifying deaths — of PMC employees, Blaekwater, for example — whereas only alleged deaths at the hands of Blaekwater rate non-stop media scrutiny and Congressional eondem nation. Was there a Senate hearing when four American Blaekwater team members were slaughtered and burned in Fallujah? If so, I blinked and missed it entirely. The rise of the private security company in emerging nations, war zones and high-risk areas has created a new breed of private soldiers, armed mercenaries, security guards, and companies who have the license to resort to full-scale violence if attacked. But are they the same people? Are all those disciplines fairly and accurately lumped together? When does a private security contractor providing protective or intelligence services in emerging markets to an MNC (sorry, multi-national corporation) cease being a consultant and become a mercenary? Is it a matter of intent? Does the identity or nationality of the MNC matter? In the eyes of many "they" constitute freelance and mostly unregulated warriors who operate with, at best, murky legal restraint. (Wise elders in the US Congress recently passed legislation placing any such PMC, of US origin, under the laws of the United States). The commercial provision of an armed force has become a standard way of doing business, as well as the potential for creating a supplemental tool of foreign policy. This isn't a new idea; you only have to know the history of American business, and note the private security amis of economic icons such as Ford, or, on behalf of US agri-businesses in Central America in the late twenties, the US Marine Corps, to realize our government has influenced public policy with such means, internally and externally, for well over a hundred years. Is there a need to find a proper place for "PMC" organizations? Does congressional oversight help? Was it ever? What's the impact, if any, on the security profession? In the next installment we'll break this out further and interview several real people whose mercenary actions are the sum and substance of the debate and the center of the controversy. Long-range marksmanship is more than dropping down behind a scoped rifle, getting a sight picture, squeezing the trigger and hitting targets at will. The more you read, the more you'll learn about breathing control, consistent trigger pulls, body position, reading the wind and discerning its value, density altitude, spin drift and all the other factors that come into play. Some shooters will become discouraged by all the variables they must consider and never take up long-range shooting. It's wise to understand the challenges you have in front of you before you invest your time, money and energy into a shooting discipline you may not like. Seek out others who are competent in long-range marksmanship and audit their range session. Take a class where you can borrow a rifle for the course of instruction. Long-range marksmanship is not a casual hobby; you should try before you buy. Steel sharpens steel, and the rifle you choose to sharpen your skills with is at the heart of long- range shooting. Browse the aisles of gun stores and you'll have more than a few rifles to select from. The secret lies in finding the rifle that fits you and your long-distance goals. For most, this will mean a bolt-action centerfire rifle in a common long-range caliber such as the .308 Winchester or 6.5 Creedmoor. The rifle you choose will need to fit you. That is, your rifle should have the appropriate-height cheek rest and length of pull to match your frame and the optic you eventually install. Speaking of stocks, focus on selecting a rifle with a synthetic stock less likely to be affected by changes in temperature and humidity as wooden counterparts. Don't fret if your rifle and optic aren't a perfect pair, as you can build up a cheek rest with closed-cell foam and duct tape or purchase a quality after-market model like those from Bradley Cheek Rest made from Kydex. When you've decided on your rifle, the next major decision is the optic you will become very familiar with for hours on end at the range. There are equally as many choices to decide from. Front-focal-plane (FFP) or second-focal-plane (SFP) reticle? Mil adjustments or MOA? One inch or 30mm tube? The choices are overwhelming, but remember your goals and think about what choices will make the most sense for you, not someone else. Ask yourself logical questions. How much magnification do I need? What features help make adjustments to windage and elevation easier? What reticle am I willing to learn and become competent with? Make sure you don't skimp on the way your expensive optic is mounted to your expensive rifle and invest in a solid mount and precision-ground rings like those from Badger Ordnance. If you plan on going out to 1,000 yards, a base with 20 minutes of angle (MOA) built in will be appreciated. When you make fewer adjustments at greater distances, you'II thank yourself for thinking ahead and purchasing it. Weak links in your precision rifle setup are created when corners are cut on quality. Equally important is finding the right ammunition. Barrel twist rates and bullet weights will yield mixed results when combined. Purchase quality match ammunition from different manufacturers and discover what combination works best. Consider your precision rifle a high-end sports car and feed it premium fuel. Just shy of reloading your own ammo, you'll find a quality round that performs the best in your rifle; stick with it religiously, and even look for matching lot numbers on the box of ammo for consistency. The little things follow the big purchases. Look into purchasing a bubble level for your optic as well as a good bipod with an adjustable swivel in case the ground is uneven. 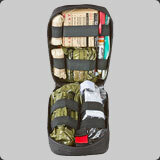 Front and rear shooting bags may also be used, serving to stabilize the rifle. A good padded sling will help you carry your 15-pound rifle, and a solid case like a Pelican 1750 will protect it in transport. Cleaning and maintenance schedules will vary, but a good one-piece cleaning rod and bore guide are great accessories to have. Long-range marksmanship requires learning what works best for you. Starting from the prone position, or seated if you have physical limitations, learn and document in a log book what happens to your accuracy when you use different parts of your trigger finger to break each shot. Use the tip of the first pad, the center and the first joint and determine which provides the best accuracy for you. Think of squeezing the trigger as compressing your fingerprint. Try placing your thumb on one section of the stock and then another. When you find out which results in the best accuracy, stick with it. Find out where you should break your shot in your breathing cycle. Are you full-, half- or empty-lung shooter? Again, fire a few strings with each and document your results. Note how your vision is affected and how clear the reticle is just before you break your shot. 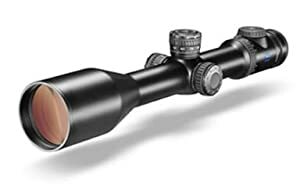 Learn what scope magnification you are most comfortable with. Just because your optic maxes out at 25X magnification doesn't mean you should use it for every range. You may find working with the lowest magnification will yield the best results. There is truth to the maxim "aim small, miss small." In order to excel in this arena, you need to develop good habits. If you are a blank slate to this type of training, you won't have to erase the bad habits and training scars you may or may not be aware of. Repeatable long-range accuracy is all about consistency. This is why a log book where you can track all of your data is essential. What you need to develop for better accuracy is a consistent routine to follow each time you drop behind the rifle. A sample routine may include lining up your natural point of aim, loading the bipod with forward pressure, placing your cheek straight down on the stock to prevent pushing it right or left, acquiring a sight picture, closing the bolt, checking your bubble level, adjusting your reticle, disengaging the safety, breathing, squeezing the trigger and reacquiring the sight picture after the round is fired. If that sounds like a lot to do in succession, it is, but it becomes second nature with enough good repetitions. Perform that routine enough times correctly and it will become second nature and habit. Soon enough, you'll instinctively be able to index where your body belongs on the rifle by where your cheek rests on the stock and where the buttstock slips into the pocket between your shoulder and your pectoral muscle. Of course, you cannot control the environment. While gravity is consistent, wind is not. Learning to read the wind and estimate its speed and value is a skill in itself. A mild wind at 100 yards might not be as noticeable as it is at 300, 600 and 1,000 yards. Learn what a 5-mph wind feels like on your face and what it does to grass and vegetation. Notice what wind looks like at ground level, standing height and at the tree line, as your shot may fly through all those different levels. Density altitude (the combination of barometric pressure, temperature and humidity) is another concern, as it will dictate how easily a bullet will travel through the air. The best tool to calculate this is a Kestrel Applied Ballistics meter paired with data you’ve collected on your rifle through chronographing and using ballistics tables. Other environmental factors will affect your performance, including the amount of sunlight, altitude and precipitation. Track how your rifle performs in all conditions and set up your shot correctly the next time you face similar conditions. At the beginning of each range session, you should always keep track of your cold-bore shot. This will give you an indi­cation where your first round will impact before the barrel becomes fouled. Fire a five-shot group and track where the center is. Don't be afraid to move your windage or elevation to compensate for a shift from your last session. Just be careful not to get in the habit of moving your windage and elevation after each shot, as flyers could be the result of user error and not the rifle. After you’ve spent some considerable time shooting and mastering your rifle’s trigger, l it’s important to challenge yourself. At the Sig Sauer Academy, shooters have to hit hanging price tags at 100 yards. If you can consistently shoot a one- hole, five-shot group, try putting 10 rounds into a single hole. See what happens when you increase the round count and your time behind the gun. Speaking of optics, every once in a while, run a box drill to make sure your optic’s adjustments are true. A box drill will result in shot groups in a square pattern when the shooter aims at the bullseye after adjustments are made in a clockwise or counterclockwise direction. If only elevation or if only windage is the concern, a line drill should result in holes punched in your target in a straight line. No long-range marksman I know is ever fully satisfied with their performance, rifle or training. This is a constant pursuit of smaller groups and better equipment. At some point, you will likely upgrade your optic to one with greater magnification, improve your rifle with a detachable magazine or a better stock, and purchase a suppressor. Eventually, you'II probably start loading your own ammunition, too. When punching holes in paper with no time limit becomes less exciting, you can modify your training to challenge yourself and increase the pressure on your skills. Different shooting positions, increased distance, decreased time limits, smaller targets and moving targets are all ways to change up your range experience. One particular challenge I picked up at the Sig Sauer Academy is shooting a swinging price tag at 100 yards. I've heard about practicing until you get it right. I’ve also heard about prac­ ticing until you never get it wrong. With long-distance marksmanship, the ultimate goal would be a single hole in the absolute dead-center of the target on command. Since so many factors contribute to thrown shots and enlarged groups, this difficult standard is one many will chase over thousands of rounds. Accuracy is a drug, and long-range accuracy is one of the most addictive. It's never too late to start on your quest for this precision rifle skillset. KYLE DEFOOR - Professional shooter, retired military operator and sniper with experience in two wars. 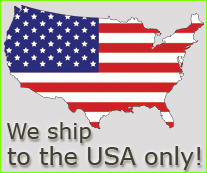 Choose quality glass from the big five: Schmidt & Bender, Leopold, Vortex, Nightforce or U.S. Optics. Pick a max power setting for the caliber you're shooting—10X for the 5.56mm, 15X for the 7.62mm and 20X for the .300 Winchester Magnum and above. A variable-power scope is ideal in my opinion so as not to over-magnify closer targets if applicable. Focal plane choice is really decided based on what targets you're shooting and if you're at varying distances (first focal plane) or one yard line (second focal plane) only. Reticle choice is again based on your type of shooting, but it's hard to beat a mil-based reticle. I'd stay away from BDCs since I've never seen them work that well. Keep your scope setup "same/same," meaning mil/mil or MOA/MOA when it comes to the reticle type and turret adjustments. Mixing the two, as in a mil reticle with MOA turret, makes the process harder in every aspect. Lastly, pick a mount or rings that are correct in height for your chosen rifle, with consideration of buttstock type and objective lens size versus type of rail. For mounts, I like Bobro; for rings, I like Badger Ordnance or Nightforce. Also choose a quality stainless steel barrel that is chrome lined. Proven performers include Krieger, Lilja and Douglas. Keep with a twist rate that has been proven for your choice of bullet weight. Pick quality ammo that is solid. This one is easy: You will never find anything better out there than Black Hills Ammunition. DAVID HINKELL - Sig Sauer Academy senior instructor, retired Marine, retired state trooper Seek quality professional instruction. Most folks can only get so far being self-taught. There are some key ingredients to successful scoped rifle and long-range shooting that can more easily be attained through proper and meaningful instruction. 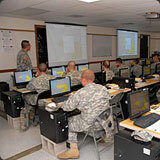 There are many instructors out there and much information. Find a combination that works for you and your needs. Be a good student. Take copious amounts of quality notes. Learn to keep a good record of your progress. Learn the true fundamentals. Try to apply those funda- mentals to every shot. Too much emphasis can be placed on equipment in the early stages of this endeavor. Get what you absolutely need. Then, when you start out shooting the equipment through proper application of the fundamentals, upgrade the equipment. Develop a sound, repeatable, successful "shot process." Just like an athlete getting ready to swing a bat, a golf club or step up to the foul line, have a way that you prepare to take your next shot. Develop your process, then be consistent with it. Build your rifle and scope to fit you so you're not competing with your gear. Figure out and record the fine details of your body s position, all pressures applied to the rifle, how you see your reticle and move your trigger. It's all important. BILL RAPIER - American Tactical Shooting Instruction owner/lead instructor, retired Navy SEAL with over 10 deployments since 9/11. Get quality instruction. We all probably know multiple guys that have an amazing collection of the latest and greatest firearms but do not know how to properly use them well. Skip the next "must-have" custom rifle for long-range shooting and instead put that money into quality training. Don't skimp on glass and ammunition. Get a quality scope with a Christmas-tree-type mil reticle and mil adjustments from one of the top companies (I only use Vortex scopes). I recommend going all mil over MOA because there are simply more binoculars, spotting scopes and riflescopes out there with mil reticles. 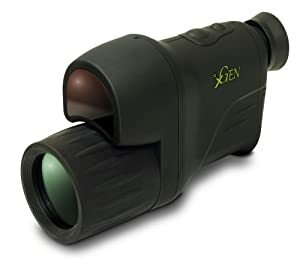 Buy the best-quality scope you can afford along with good rings. This, along with quality match ammunition (I run Black Hills ammunition or my own handloads), is foundational if you want to shoot at distance, beyond 600 yards. Finally, get out and train! Find a spot where you can get some distance and go shoot. Recruit a friend that is interested so that you can spot for each other. Shoot in different weather conditions, different lighting conditions, different elevations, but most importantly, get out and shoot. TOM KIER - Sayoc Tactical Group director of operations. Study the different long-range competitions: 1,000-yard Benchrest, F-Class, PRS, etc. Maybe long-range hunting is what you may be looking for or just going out and seeing what you and your rifle can do for fun. 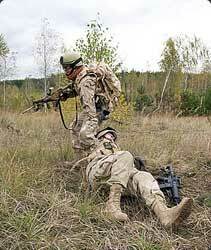 It's all part of long-range shooting, but the gear and training varies. Start really studying what you can find out there and talk to people already involved in it. Try to get a real idea of the time and money it takes to give it an honest start, and plan out the steps you’ll need to take. Seek out the top guys in this arena — the guys who have dedi­ cated significant time to becoming who they are in long-range shooting. Invest in good gear that you can afford to use and maintain. There aren’t any good scopes for long range under $1,500; don’t waste time and money on cheap glass. As far as rifles, look for something you can get ammo for if you don’t load your own, but get ready to become a precision handloader. This is part of the natural progression. Understand the caliber and realize the ballistic limitations of what you are investing in; you can outgrow a lot of calibers and rifles. Invest in spotting scopes, lasers, chronographs and ballis­ tic programs as things progress. Ask a lot of questions and read reviews before you buy any gear. Finally, practice with each piece of gear and keep good data. Learn to read the conditions. Wind is the hardest part of getting hits at real distances. Every­ thing else can be tracked and calculated accurately through technology. Not much is known about this record, but the team used a McMillan TAC-50 with a modular aluminum Cadex stock (known in Canadian service as the C15A1) and loaded with 750-grain Hornady A-MAX ammo. The rifle used a Schmidt & Bender PM II scope paired with a TacomHQ Charlie TARAC optical device. 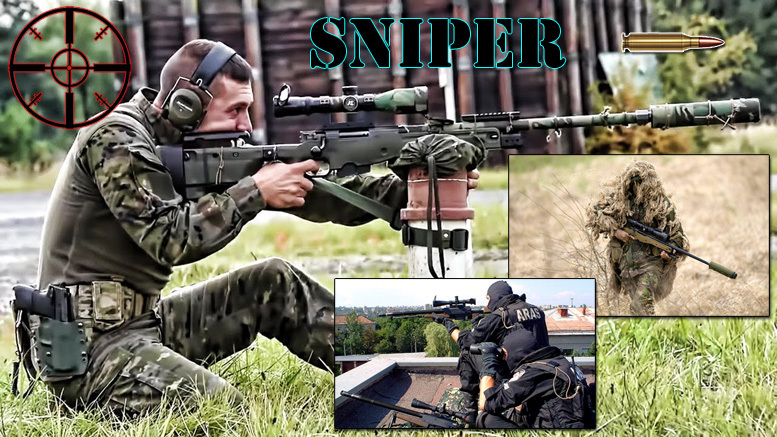 There is a lot of misinformation out there, but reports state that the Joint Task Force 2 sniper was firing from a high-rise during the operation, and the bullet took just under 10 seconds to hit the target. The record from Corporal of Horse (CoH) Craig Harrison has been covered by a multitude of media outlets, but none has supplied accurate data about it. Even his own book, The Longest Kill, does not discuss the ballistics of the shots. Harrison made his record-breaking shots after his commander and some Afghan soldiers took fire while patrolling in Helmand Province in November 2009. In his own words, Conditions were perfect, no wind, mild weather, clear visibility. The first round was a miss, and the second hit a machine gunner in the stomach. He went straight down and didn’t move. The second insurgent grabbed the weapon, and my third shot hit him in the side." In 2013, I tried to replicate Harrison’s shotsjn an article for Rifle Firepower magazine. I repeated the shots with my own .338 Lapua Magnum rifle, shooting the same Lapua 250-grain Scenar and Lock Base ammunition Harrison used. In both cases, I found that the optical system was the greatest limitation, even more than the subsonic flight. As a member of the 3rd Battalion of Princess Patricia's Canadian Light Infantry during Operation Anaconda in Afghanistans Shah-i-Kot Valley, Furlong witnessed and took aim at three Al-Qaeda fighters armed with a 7.62x39mm RPK machine gun. Furlongs first 750-grain Hornady A-MAX shot missed the machine-gun-toting insurgent, and his second hit the gunners backpack. The third shot from the McMillan TAC-50 struck the target’s torso and killed him. The M200 Intervention in .408 CheyTac was reportedly on loan to the British army as part of a battlefield trial. 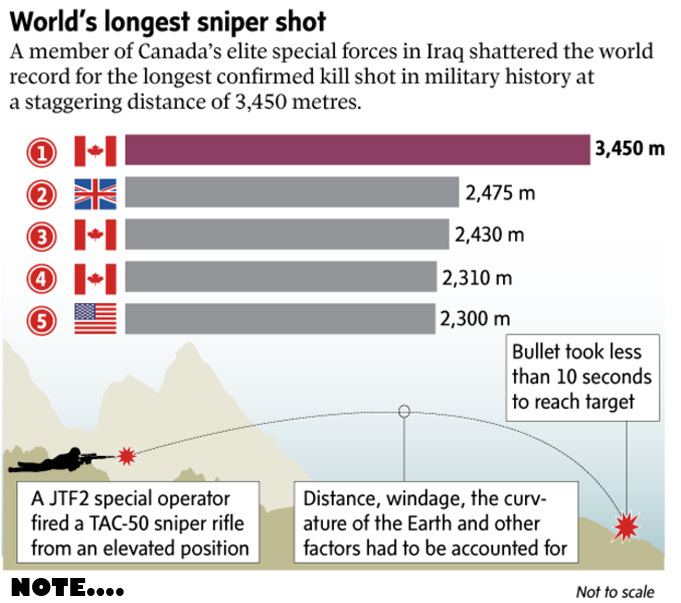 The kill shot happened in a classic countersniper oper­ ation in Mosul after a four-hour game of cat and mouse that ended when the ISIS sniper let his guard down as he moved. Master Corporal (MCpI) Aaron Perry was a member of a Canadian team of snipers deployed to Afghanistan that supported NATO and Northern Alliance forces during Operation Anaconda. The six snipers on the team amassed over 20 confirmed kills in a matter of days during the battle. 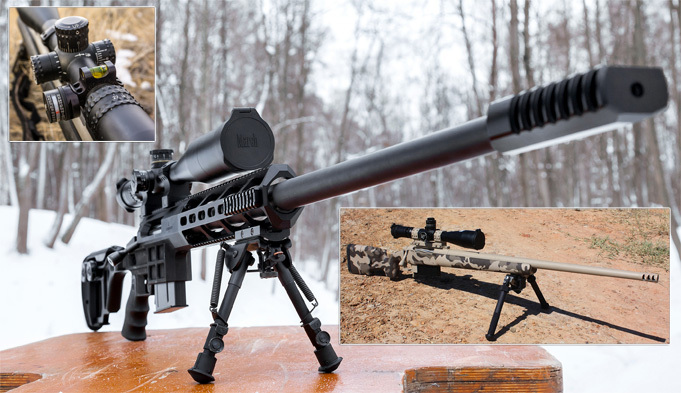 Sergeant Bryan Kremer’s 1.43-mile shot is the longest made by an American sniper, and it’s impressive considering he was using a Barrett M82A1 rifle with Raufoss Mk 211 ammunition. I have personally shot thousands of 661-grain Raufoss multipurpose rounds in M82A1s with 4.5-14x50mm scopes, and in my humble opinion, this record is probably the most impressive of the eight records listed here. Hathcock held the record for the longest confirmed sniper kill for 35 years. The 2,500-yard shot was just one of the 93 confirmed kills Hathcock made during his career. At one time, the North Vietnamese Army placed a $30,000 bounty on him due to his soon-to-be legendary status as a sniper. But while every NVA sniper pur­ sued "White Feather," the nickname given to him by NVA and Viet Cong personnel due to his habit of wearing one in his bush hat, none were successful. The gunnery sergeant’s military career came to an end after his transport unit struck an anti-tank mine. He later passed away in 1999. This record-breaking shot took place during the Battle of Kibati in the Dem­ ocratic Republic of the Congo. During the battle, an unnamed South African sniper killed six M23 rebel officers in a single day. His longest kill that day was an amazing 1.32-mile shot using a Denel NTW-14.5 anti-material rifle. This is the longest confirmed kill ever made with a 14.5x114mm cartridge. The NTW-14.5 is the NTW-20 fitted with the 14.5 series barrel and bolt. It can also chamber the less powerful 20x82mm and 20x110mm rounds. The rifle is not man portable at approximately 75 pounds, but its 1,026-grain bullet-traveling at 3,300 fps—is quite devastating.